NASA image courtesy Jeff Schmaltz, LANCE/EOSDIS MODIS Rapid Response Team at NASA GSFC. Caption by Holli Riebeek. 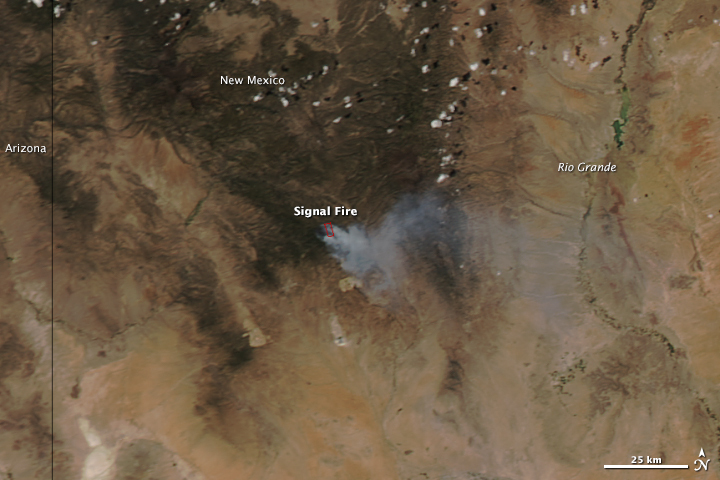 The Signal Fire was spotted from the Signal Peak Lookout Tower on May 11, 2014. 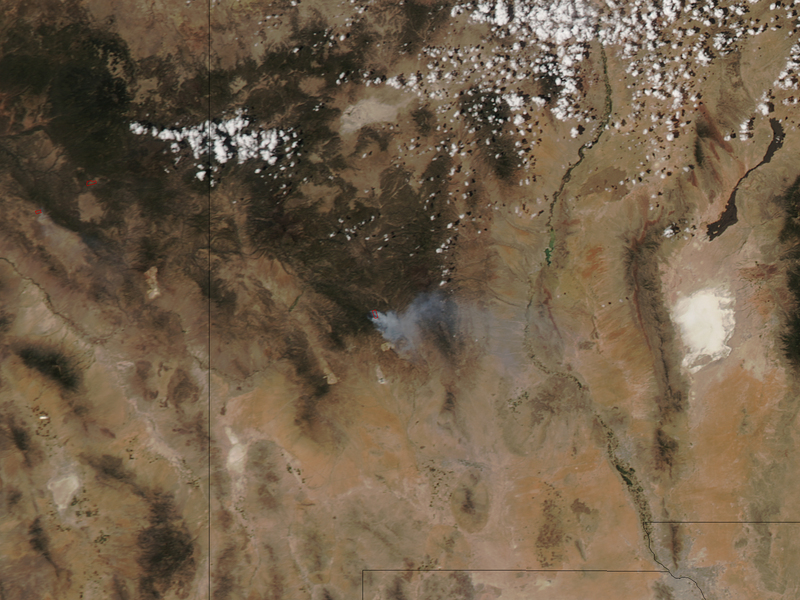 Burning in southwestern New Mexico, the fire had consumed 1,900 hectares (4,700 acres) by 6:00 p.m. local time on May 12. The Moderate Resolution Imaging Spectroradiometer (MODIS) on NASA’s Aqua satellite acquired this image at 1:55 p.m. local time (19:55 UTC) on May 12. The fire is outlined in red.